Hello there sweeties! Sorry for not posting yesterday. I did write a post telling you that I didn't have time to post for day 4, but somehow that post disappeared. I wrote it on my phone though, so maybe that's why. Today it's my fathers birthday so I've been celebrating him a little bit. We ate ice cream, noms! That's why I'm posting so late today. I thought I could publish two posts today, but I can't, It's too late. So now I'm three days late on this challenge! GREAT SUCCESS! Nah, it doesn't really matter as long as I'm having fun. 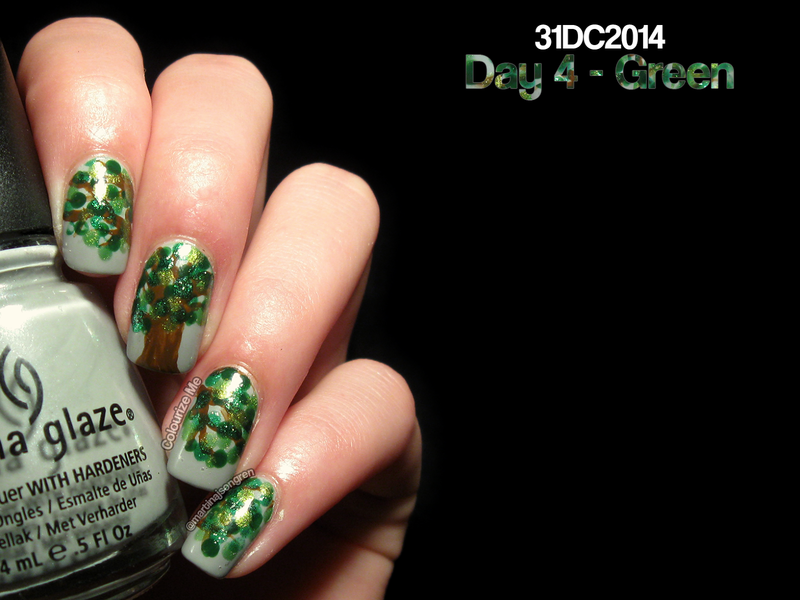 These are the nails for day 4, which is green! So! 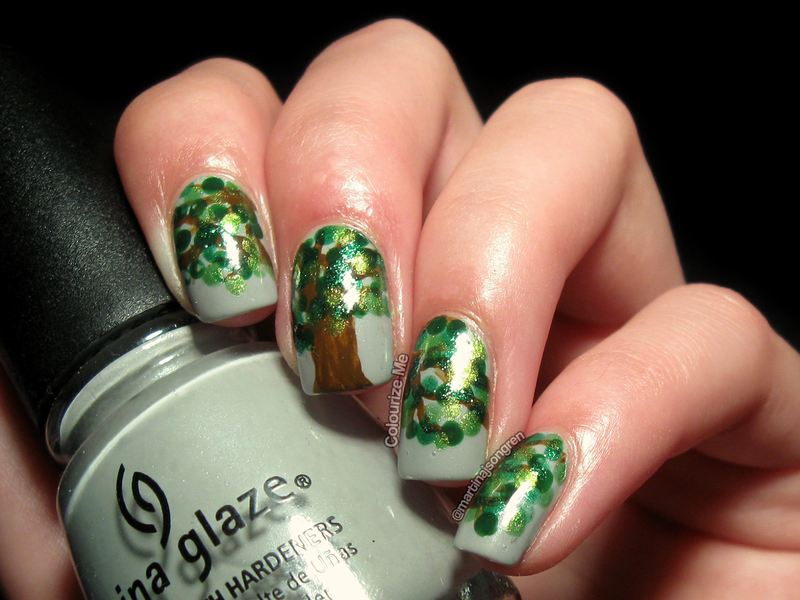 For this manicure I used China Glaze Pelican Gray as my base and brown acrylic paint for my tree. I painted the trunk and the branches with a nail art brush. 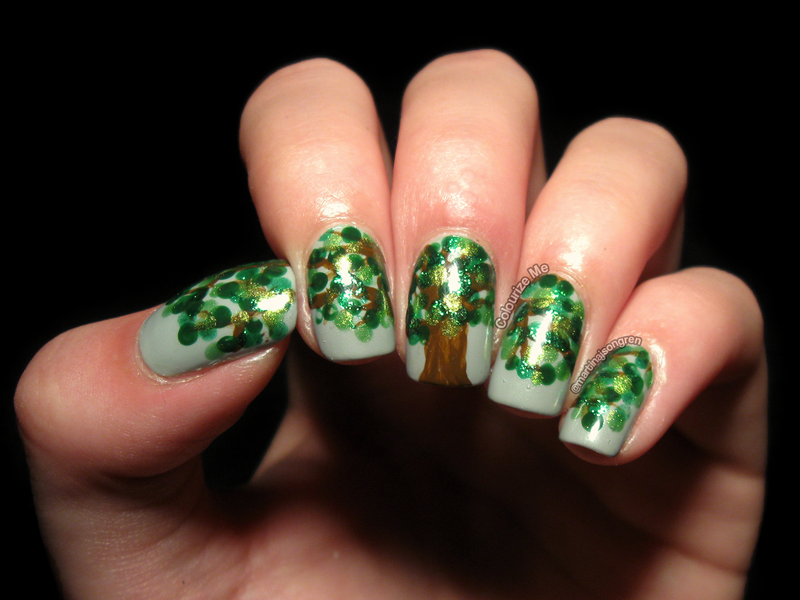 Then I made a shitload of leafs with a dotting tool using China Glaze Cha Cha Cha, Holly-Day and Running In Circles. Three BEAUTIFUL green polishes. Seriously, if you don't have them in your stash, you might wanna do some shopping. I finished the design with a coat of Glisten & Glow HK Girl top coat. 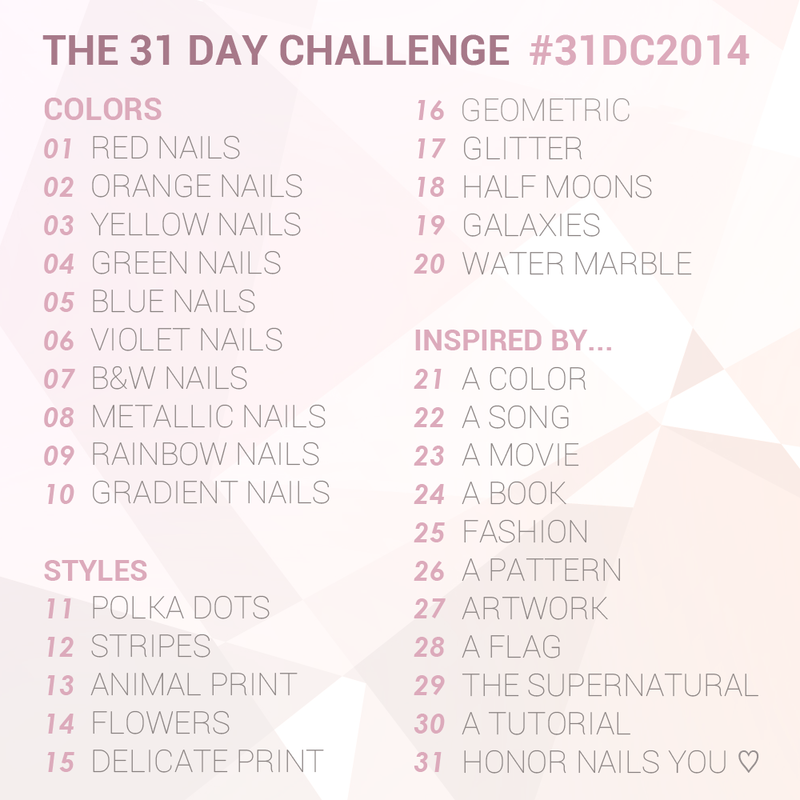 Check out day 4 from last years challenge, click click!